Last week I was able to witness the beautiful fashion show where Avon Philippines unveils its newest collection of intimate apparel. Encouraging women to “Step Into Your Comfort Zone”. To live an authentic life, a woman must be true to herself first and take courage to pursue her passions. Avon supports women in embracing the importance of living a truthful life and being comfortable in your own skin. 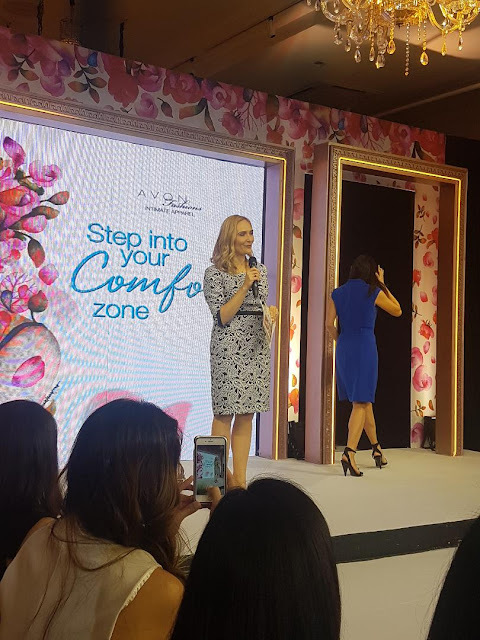 Step into the comfort zone of what fills your heart is Avon Fashion’s bold invitation and with a range of intimate apparel that provides women with the stylish comfort they deserve, women can easily focus on the things that truly matter. Each bra is designed with the Filipina body in mind, ensuring that it fits her body not just flawlessly but comfortably. Avon Fashions Intimate Apparel now calls on all women to confidently walk the path they’ve always wanted to walk, to play the role they’ve always wanted to play, and to ultimately define their own success. Visit www.avon.ph or like Avon Philippines on Facebook to find out how you can get in touch with a Representative. Or Learn more about Avon and its products at www.avoncompany.com.